International press advertising campaign aimed at home users who wanted more professional results. Responsible for: concepts, copywriting and art direction. 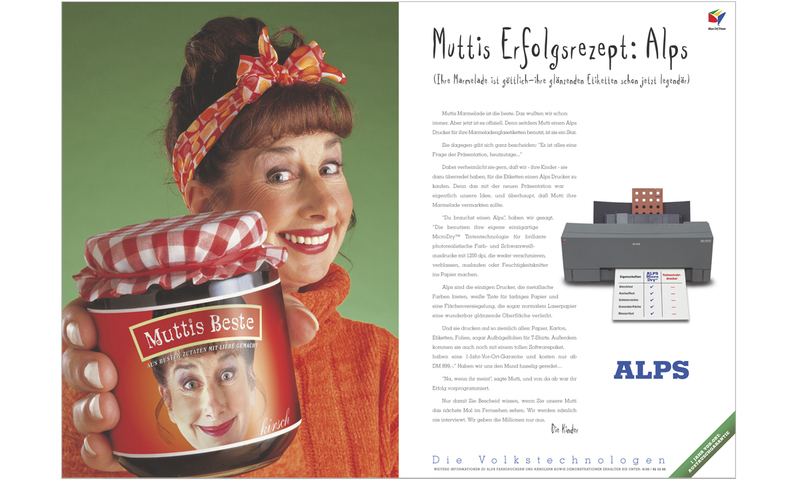 Alps Printers – Concepts, copywriter and art director. Alps’ unique Micro Dry technology gives home users affordable access to high-quality 1200dpi printing. Unlike inkjet printers, the Alps range is smudge free and won’t fade. 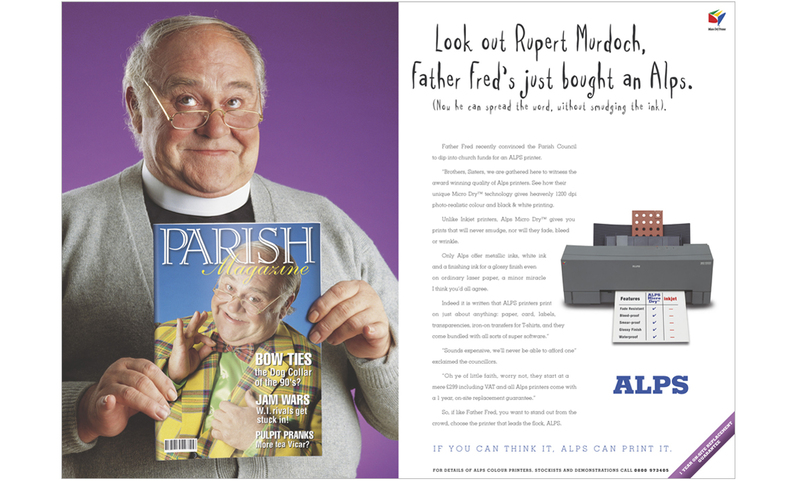 With metalic inks, gloss finishing and the ability to print on card and even acetate, everyone can print like a professional, even Father Fred. For more consuer press advertising, have a look at this campaign for Sekonda.